The challenge is to sail around ALL the islands of England and Wales – about 183 of them – although unfortunately I keep discovering more! In doing so I will be sailing over 1200 miles in a dinghy as small as two bath tubs. It’s going to take me the best part of two and a half years with some sailing days being in excess of 10 hours. 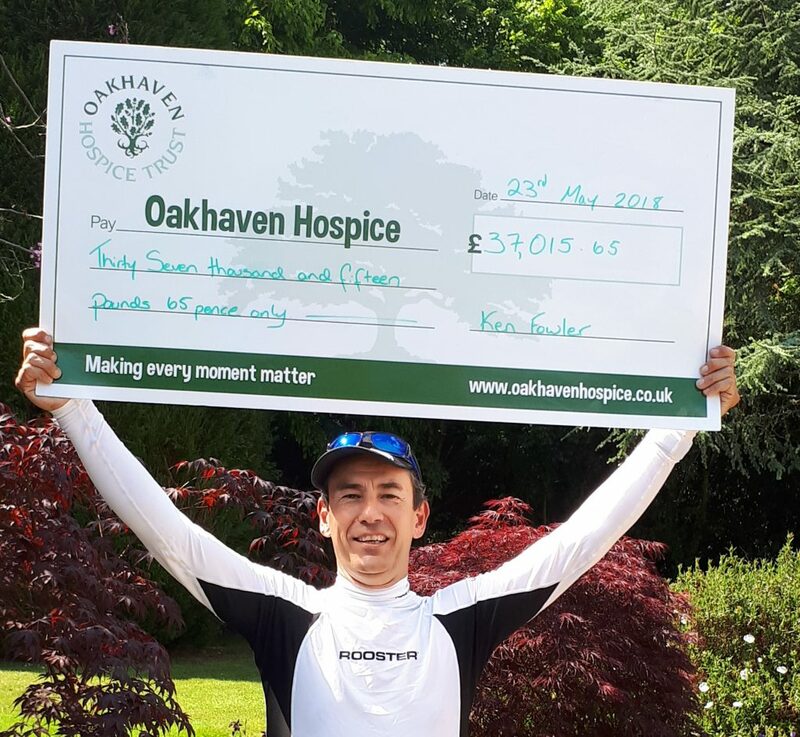 If I’m successful I will become the first sailor to ever achieve this and more importantly hopefully I will raise £13,000 for two amazing charities – Cancer Research and Oakhaven Hospice. You can find out more about the adventure below, including a bit about me, my boat and most importantly, the story behind why I’m taking on this epic challenge. Guess we’d better start with a bit about me, so without going in to too many embarrassing facts, I’m a 53 year old air traffic controller who lives in Mudeford, Dorset. Looking back I’ve always had a “frustrated adventurer” trapped inside of me and spent most of my youth hiking up hills and travelling across countries on my bike. sense of your insignificance as you bob up and down at the whim of the sea. My second love in life (after my wife and children!) 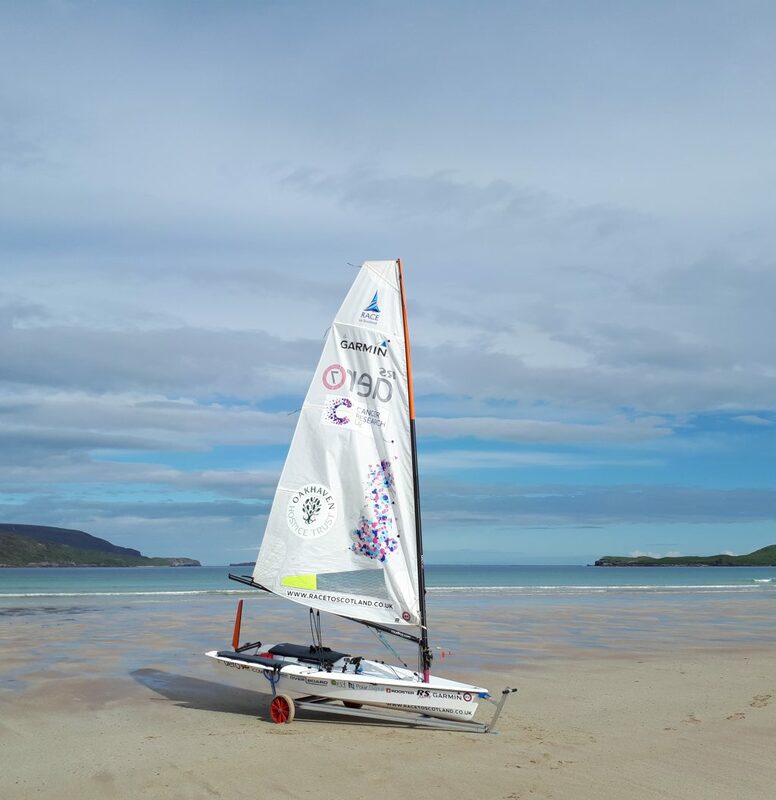 is my RS Aero sailing dinghy – fondly named YODA. It is about the same length as two bath tubs put together – and often just as wet! Yoda’s name came from my last adventure – “Race To Scotland” when we ran a competition to name the boat. YODA was the winning name as it reflected the ability of something so small to achieve something really amazing. 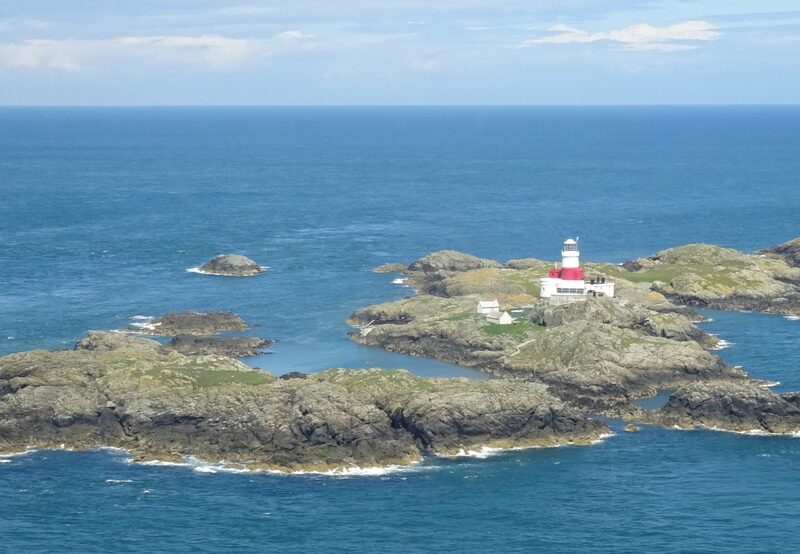 YODA was true to it’s name and sailed a staggering 865 miles from Lands End to the top of Scotland – only finishing 45 miles short of John O Groats when the weather prevented any further sailing. “Race To Scotland” was an incredible journey and a personal emotional roller coaster. It managed to raise a jaw dropping £37,015.65 for Cancer Research and Oakhaven Hospice, thanks to the generosity of so many friends, family, fellow sailors and complete strangers who I met during the trip. Although that amount itself was a great achievement, I was £12,984.35 short of the £50,000 I was trying to raise (the target came from the sad fact that 50% of us will get Cancer). Yodare is all about raising that final £12,984.35. The idea for “Yodare” came from a series of events which date back to a sad time in my life some 27 years ago, when my father died of cancer. He was one of six siblings – five of whom died from cancer. I only learnt after his death that, when relatively young, he had come home to discover his mother had gassed herself in their kitchen because she had been diagnosed with breast cancer when such a diagnosis was generally a death sentence. Following my father’s death I decided to try and raise money for the amazing work that Cancer Research does by cycling across America from the West coast to the East with my best friend Liam. It was a great adventure, done on a shoestring, which saw us cover 4,000 miles in 51 days carrying everything with us on our bikes and free camping wherever we could. That trip opened my eyes to the amazing things you can achieve if you just go out there and do them, rather than just thinking about it. Several other cycling adventures around the world filled in the intervening years until 2015, when I was about to reach two significant milestones. The “mid life crisis” of turning 50 and the more poignant anniversary of having spent more of my life without my father than with him. To commemorate his life I took on the challenge of sailing around the Isle of Wight. Not the most challenging adventure you may think, but when you decide to do it in a single handed dinghy 4 metres long it’s quite an adventure! So after months of preparation and 4 abandoned start dates because of bad weather the Isle of Wight trip was planned for early June 2015. Unfortunately just 4 days before my planned Isle of Wight trip my wonderful and supportive mother-in-law Ina Smith died, which was a shock to us all. She had always been supportive of all my madcap adventures and I knew she would have wanted me to complete the trip, so I launched at sunrise on the planned date with photos of Ina and my father stuck to my small dinghy – the best inspiration anyone could have. Just over 12 hours later I returned to Mudeford after 70 plus miles around the Isle of Wight in my small dinghy, raising an amazing £5,000 for Cancer Research and our local Oakhaven Hospice in Lymington. The trip around the Isle of Wight was an emotional experience and I was soon being approached by people asking me what was my next challenge? Out of that came the idea that was “Race To Scotland”. You can find out all about it at www.racetoscotland.co.uk . That epic journey covered 865 miles in Yoda and involved battling whirlpools, surf beach landing, storms and RNLI rescues. 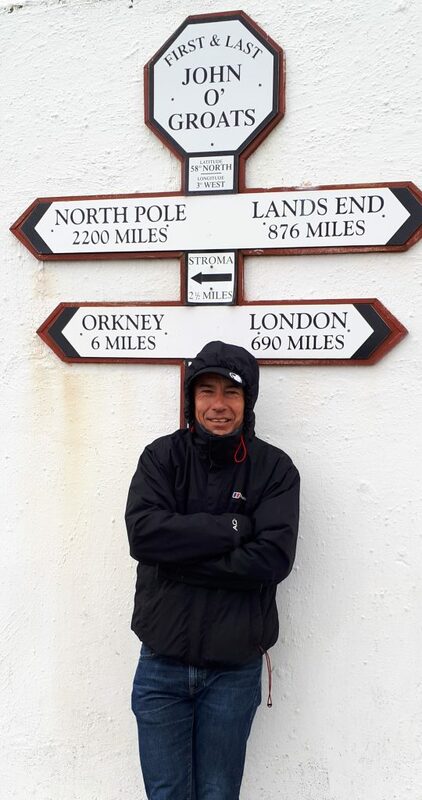 It really pushed me to the limits of my endurance and although I failed to reach John O Groats by just 45 miles I did raise over £37,000 for Cancer Research and Oakhaven Hospice. That amazing total really blew me away, but I was still short of my £50,000 fund raising target by £13,000. Cancer patients don’t have any option to give up the fight against cancer – it’s an ever present, so I decided to come up with one more challenge to try and reach that £50,000 target – and that’s what Yodare is all about. One average bloke, in a very small dinghy, taking on one very big adventure for two amazing causes. And finally – please, please, please help support these life changing charities by clicking on the DONATE button and give as much as you can. All donations, however large or small, are greatly appreciated. Thank you for taking the time time to read this and help support the fight against Cancer..